Back in April, tempted by the farmer's warning that this was the last weekend for kale, we bought as much as we could carry. 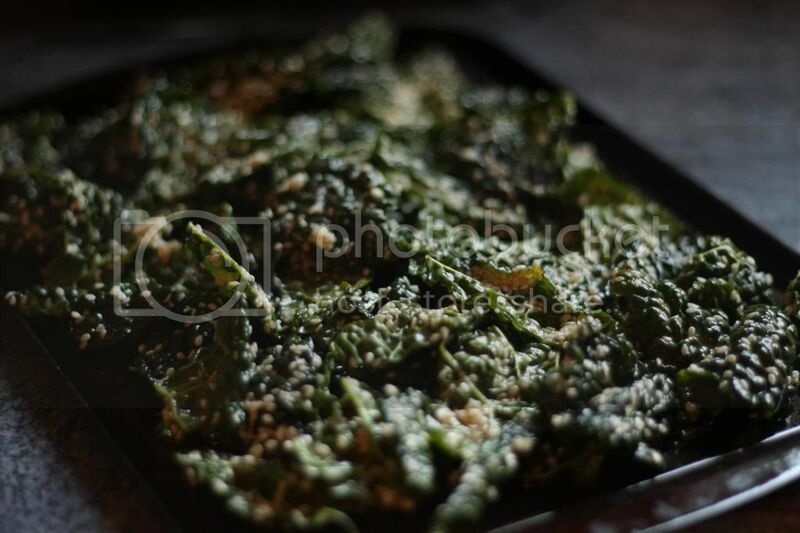 Returning home, we soon realised that we had been a little over enthusiastic and so after searching through some of our favourite websites discovered a recipe for Kale Crisps over on My New Roots. 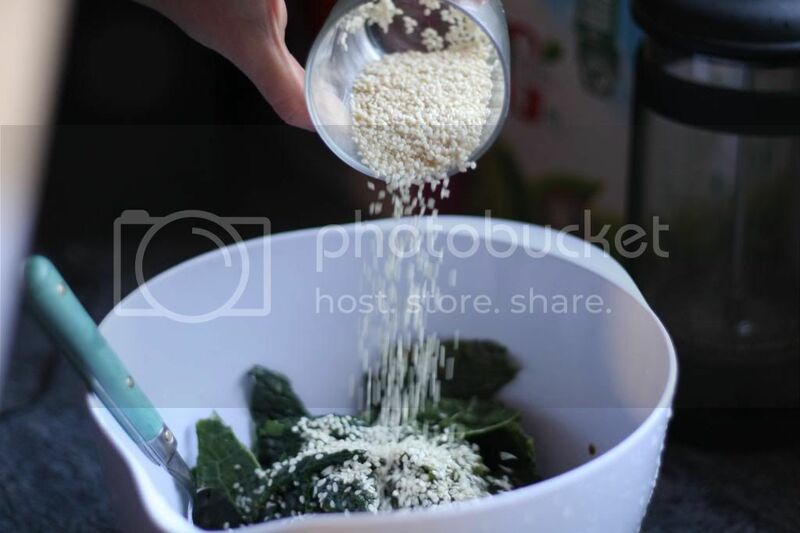 This recipe is the perfect way to eat this superfood. 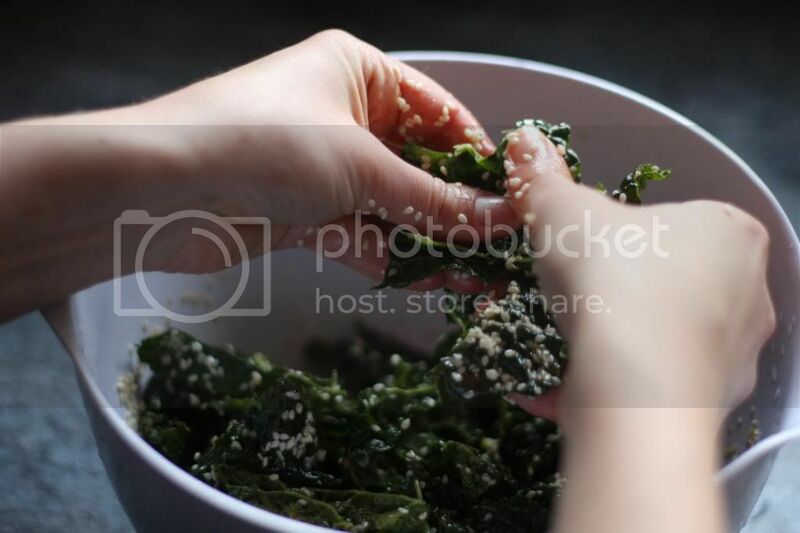 All you need is a few simple ingredients (lemon, maple syrup, sesame seeds, olive oil, salt and tamari) and a big bunch of kale to make a delicious and healthy version of Britain's favourite snack. 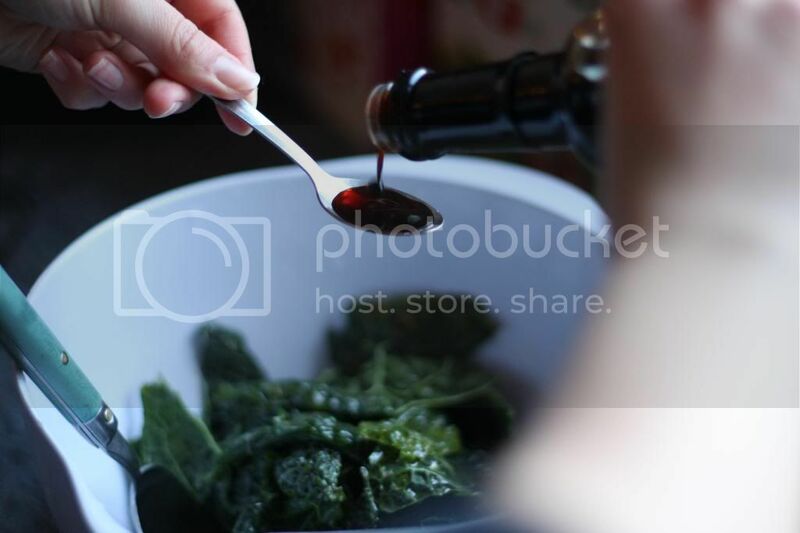 The key here is the massaging of the kale, as this breaks down the structure of the leaf which is notorious for being tough.